Orange County Limo Finest Limousine Service In Orange County!!! LAX Los Angeles International Airport will certainly have the most available flights, but very busy & some times difficult to get through. About an hour from Orange County. All Major airlines serve this destination definitely the closest to Beverly Hills, Hollywood, and Los Angeles beach cities. In less than 20 minutes you can be in Rodeo Drive the celebritys Place to hangout and their favorite place where they shop. The restaurant choices are Endless and the night life in definitely where you want to be. South Coast Limousines is a proud service provider and we can accommodate any last minuet booking. LGB Long Beach Airport is in between Orange County Airport and Los Angels Airport About half hour each direction, and this is a great alternative to LAX, it's closer and much less crowded. Almost all Major airlines serve this destination. South Coast Limousines is a proud service provider and we can accommodate any last minute booking. ONT Ontario Airport the Inland Empire's up-and-coming international airport is making their mark as an upscale, easy alternative to LAX. All Major airlines serve this destination. SNA Orange County / John Wayne Airport is by far the closest airport to Huntington Beach, Newport Beach, and Laguna Beach. Almost all Major airlines serve this destination, and it's small and very easy to get in and out off. Close to some of Orange County most popular major hotels, shopping malls South Coast Plaza, Fashion Island, and the most beautiful beaches and lots of popular Restaurants. SAN San Diego Lindbergh Field International Airport. A very small and busy airport but definitely the way to go, if you plan to visit the San Diego area. Minuets from famous down tow gas lamp district, Sea word, Legoland, and the beautiful La Jolla Village, Just an hour of science drive up the coast to Orange County. South Coast Limousines offers complete ground transportation to ONT Ontario International Airport, Ontario International Airport limousine and sedan services can begin or conclude your air travel in perfect fashion. We are completely familiar with all Southern California airports and our chauffeurs have instant access to the latest flight information through our satellite-monitored flight tracking software. We arrange for professional courteous drivers to pick you up at your home, hotel, or place of business and shuttle you to the airport, 24 hours a day, and 7 days a week. Shuttle Services are also available from Ontario Inter national Airport to your final destination. South Coast Limousines understand that customer satisfaction is the key to success, and that is why we promise and assure to make your ground transportation experience a hassle free, safe, on time, and affordable. Welcome to South Coast Limousines Long Beach (LGB) Airport Limo Transportation Service, South Coast Limousine Long Beach Airport Shuttle Service is your only source for all your corporate and executive ground transportation needs. For over a decade we have been providing the type of service travelers like yourself demand. Our clean, immaculate vehicle, staffed by one of our knowledgeable and professional chauffeurs, who will always arrive on-time for your pickup. We are the service that you have been searching for, so look no further. From the moment we answer the phone to the chauffeur at your door, you will be confident that you have made the right choice. Call us today! We look forward to helping you with all your travel & transportation needs. Our priorities are simple...... Exceeding your expectation's of a John Wayne Airport Limousine transportation service provider. Shuttle Services are also available from the airport to your final destination. Long Beach (LGB) Airport Limousine service can begin or conclude your air travel in perfect fashion. We are completely familiar with all Southern California airports and our chauffeurs have instant access to the latest flight information through our satellite-monitored flight tracking software. We arrange for professional courteous drivers to pick you up at your home, hotel, or place of business and shuttle you to the airport, 24 hours and 7 days a week. South Coast Limousines understand that customer satisfaction is the key to success, and that is why we promise and assure to make your ground transportation experience a hassle free, safe, on time, and affordable one. San Diego Airport, and all other private jet terminals. We are a certified fully licensed and maximum insured limousine company operating in Southern California. Welcome to South Coast Limousines LAX Airport Limo Transportation Service, South Coast Limousine LAX Airport Limo Service is your only source for all your corporate and executive ground transportation needs. For over a decade we have been providing the type of service travelers like yourself demand. Call us today! We look forward to helping you with all your travel & transportation needs. Our priorities are simple...... Exceeding your expectation's of a LAX Limousine transportation service provider. Los Angeles Airport LAX Limousine service can begin or conclude your air travel in perfect fashion. Welcome to South Coast Limousines John Wayne Airport Limo Transportation Service, South Coast LimousineJohn Wayne Airport Shuttle Service is your only source for all your corporate and executive ground transportation needs. For over a decade we have been providing the type of service travelers like yourself demand. John Wayne Airport Limousine service can begin or conclude your air travel in perfect fashion. At South Coast Limousine our Mission is excellence above and beyond your typical idea of a transportation provider, Our luxury ground transportation along with consistent and professional service each and every time. We establish relationships of trust with our customers and strive to bring them the very best experience possible. Expect superior service and the finest sedans,suv's, Stretch limousines and and party buses available in orange county. South Coast Limousine offers a wide variety of OC Limos transportation services. We provide our clients with the most reliable, safe and luxurious personal ground transportation. Our fleet in Orange County is available to you 24/7 South Coast Limo service is your best transportation source for County Limos, Orange County Party Bus, Los Angeles Limo, and Los Angeles Party Bus Services with a world class of elegance, reliability, comfort, and affordable rates! You have come to the right place! South Coast Limo, a Chauffeured Driven Limousine Transportation company available year-round for four-hour minimums most days, and the rates are surprisingly affordable. Reservations can be made conveniently online or by calling (949) 831-5466, We Proudly been Serving Orange County, Los Angeles, Inland Empire, and San Diego area, since the turn of the millennium. Orange County Limousine can pick you up in Aliso Viejo to take you to Disneyland. Call Orange County (OC) Limo reservation department, to arrange for you a very special event and make it a memorable one. South Coast Limousine is your premier Orange County Hummer Limos and Orange County Party Busprovider of personal, corporate and group transportation services. From our modern fleet of executive sedans, luxury limousines, ultra stretched Hummer limo, mini-coaches and party buses to our dedicated staff and specially trained chauffeurs, the quality of service provided by limos of orange county is unmatched! Did you know South Coast Limo service has drivers on stand by for last minute pickups! Call us now (949) 831-5466 and your driver will be dispatched in as little as 15 Minuets. You have heard prom limousine horror stories. 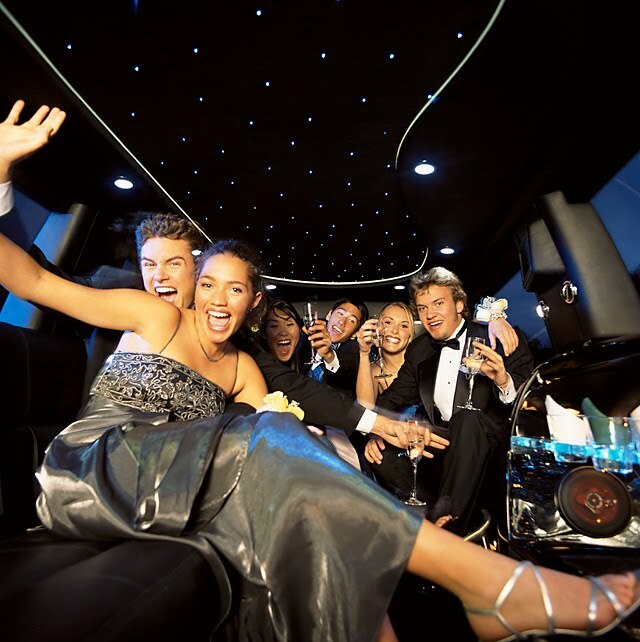 Poor limousine experiences happen right here in the greater Orange County & LA County area with great regularity, but your school dance experience does not have to be tarnished by shoddy chauffeured transportation service. Protect yourself against surprises by doing the necessary research to ensure that the limousine service you are considering cares about your customer satisfaction. A good place to start is the Better Business Bureau, where you can look up the BBB Accreditation and Reliability Report for the service you are considering. Once you have researched the companies that looked good at first glance, call each companys reservation line and ask the reservationist what extra precautions the company takes to protect the safety of the minors that will be riding in the limousine. not be afraid to ask to see proof of current insurance, and whether or not there will be a dispatcher or reservationist available for you to contact throughout the entire limousine rental time? some companies send the entire staff home at night, leaving the chauffeur to fend for himself after hours. help with preparing for your school dance? Read Rare Form Limousines article, entitled School Dance Etiquette, for some great information on getting ready for the big night. Lets step it up, Orange County! Prom is right around the corner, and you deserve to enjoy your evening transportation in a safe, beautiful Orange County Prom limo. South Coast Limousine. Watermark theme. Theme images by bopshops. Powered by Blogger.